This state of the art trailable racing catamaran is suitable for experienced sailors only. Years of research and development and on the water experience have resulted in an extremely fast boat with superior handling in all conditions, second to none. 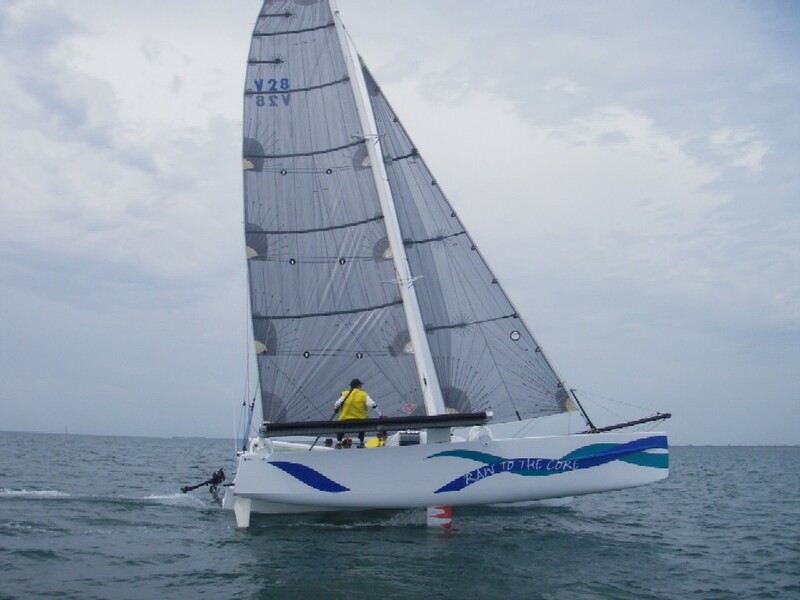 The prototype (Raw to the Core) smashed the opposition in her first regatta, easily eclipsing the fleet, including arguably the fastest Farrier trimaran in the world, in a variety of conditions. The design incorporates many of the latest and new design features, all of which have proved successful and exceeded expectations on the prototype. The all carbon construction and innovative beam connection provides a very stiff platform with enough freeboard and strength to perform in rugged offshore conditions, even at the extremely light weight for a boat of this size. 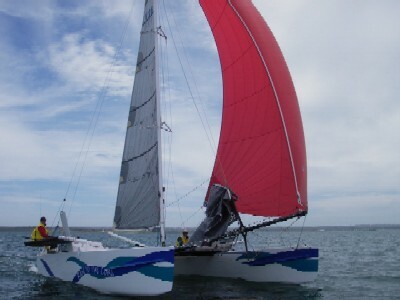 The hull design has been developed based on experience of many Crowther designs, but with significant improvements over the last several years aimed at not only improving the calm water speed, but handling through tacks, speed and comfort in rough conditions and security and power downwind. 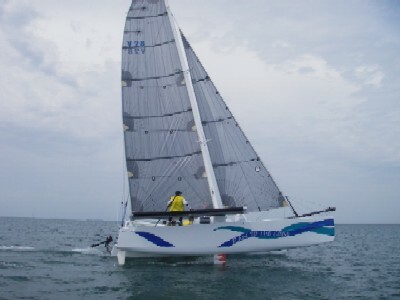 Although the design has quite a wide hull separation, the boat tacks extremely easily, and it is almost impossible to bury a bow in any conditions, even running deep in heavy conditions. The result is a boat that is a dream to sail and will hold its' own against any in its' class anywhere in the world. Please contact us if you would like more information on this design. Click here to add Bloomfield Multihull Sailboats to your favorites to make it easy to find again.